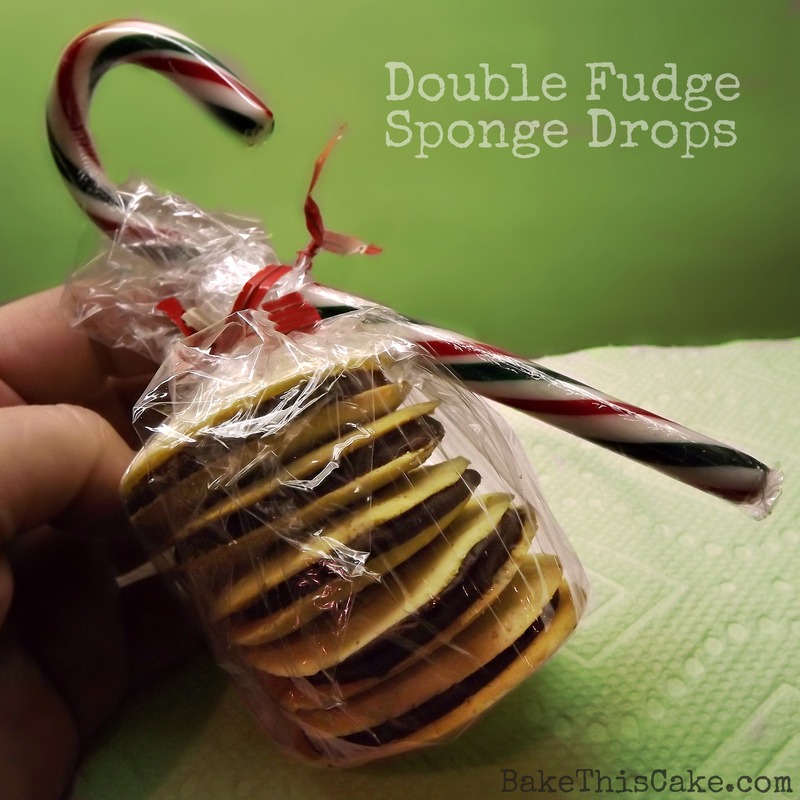 Fudge Sponge Drop Cookies for the Holiday Cookie Exchange Party | Bake This Cake! 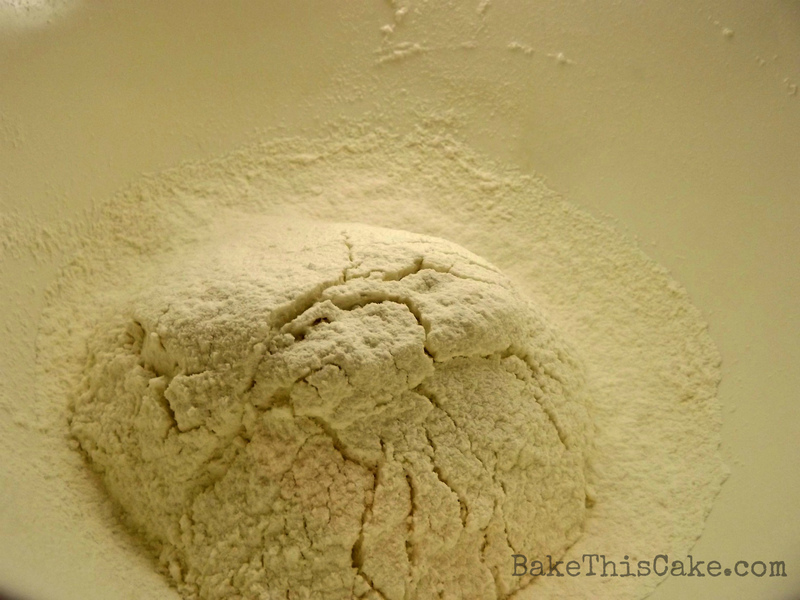 We’re baking old-fashioned sponge drops made from a simple vintage sponge cake recipe. Then we’re filling them, sandwich style, with decadent double fudge ’cause it’s time for the Holiday Cookie and Cook Book Exchange Party with Food Bloggers Los Angeles! Yes, it’s a holiday crowd, so that would be 200 crisp little cookies filling up the kitchen with a heavenly aroma — and filling up every cookie sheet, cooling rack and tray that can be found or borrowed. 1. My lower oven bakes 2 minutes slower than my top oven. 2. Pie pans do not make very good cookie pans, even in a pinch. 3. Having 2 kitchen timers comes in handy once in a while. 4. You can slide at least 2 cookies on the spatula at one time. 5. The batter will taste exactly like the cookies — so taste it to adjust flavoring before you bake it (a tiny bit won’t kill you, I don’t think). 6. Loud music and baking go hand in hand. 7. Fudge gets thick and hard pretty fast if you don’t keep it warm and stirred. 8. There’s no time for extra chores when cookies are in the oven because it’s on to the next batch immediately. 9. 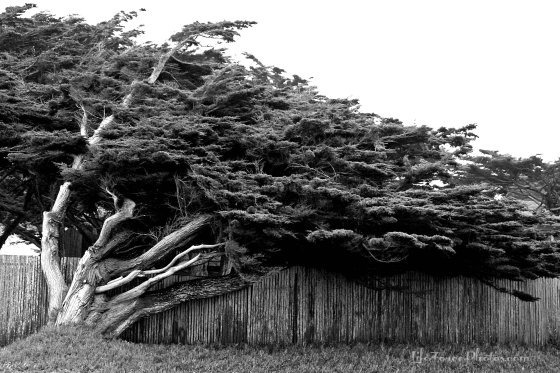 If you make a mistake, there’s a likely way to keep moving forward. 10. After a major baking spree, cleaning the kitchen before going to bed will keep you sane in the morning. I pre-tested this simple little recipe to perfection. Actually, I tested LOTS of cookies all month prior to this event. Cakes are usually my realm so I was fretting, I admit. I mean, food writers will bring it when it comes to sharing their foodie treats so I wanted to make something special just like my buds. The recipe I decided to use was published in 1881. 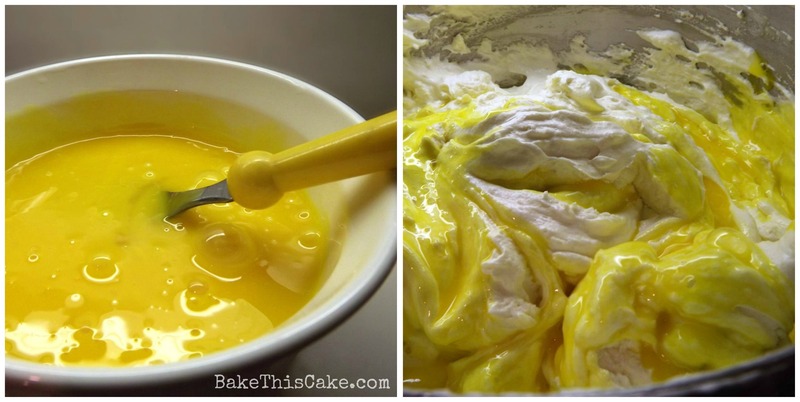 It’s a very simple old-fashioned cake recipe from “The Complete Bread, Cake and Cracker Baker…” by J. Thompson Gill. 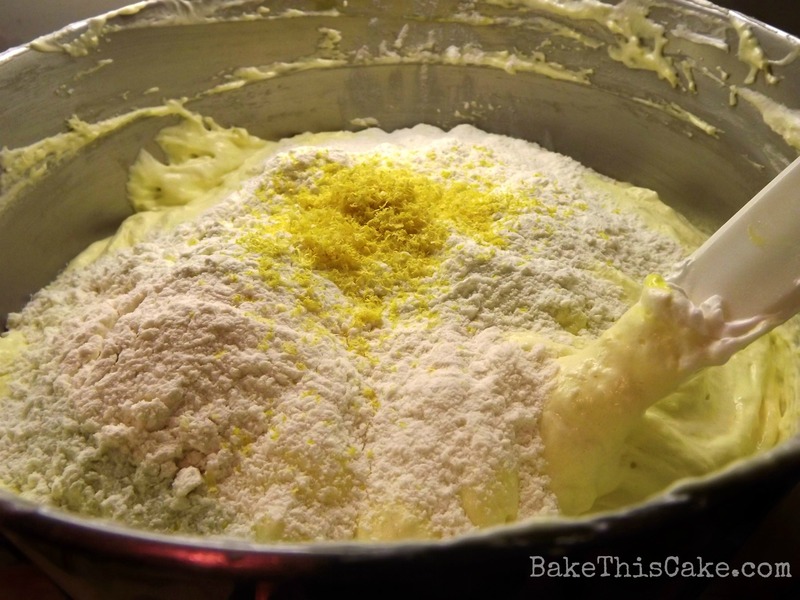 Just 3 ingredients: flour, powdered sugar and a whole bunch of eggs. For the cookie, Mr. Gill simply suggested adding lemon flavor to the cake batter and dropping little walnut-sized bits on pans to transform cake into cookies. Voila! Sounds charming to me. Course, on the big night for baking I goofed by separating a dozen instead of 9 eggs. Luckily, I have a gazillion old cook books so I looked up other mid-1800’s sponge cake recipes and found that I could easily morph my blunder into a perfect 1884 sponge cake by using C. W. Schlumpf’s recipe from “A Practical Guide for the Cake and Bread Baker”. That’s because the latter recipe is the same except that it uses a dozen eggs. Perfect! And that is how we roll on a Friday night. Go with the flow and turn up the music louder. Since I’ve now made both versions, I can’t tell which one was best (but if you’re running low on eggs, it turns out you can short a few and still come out strong). 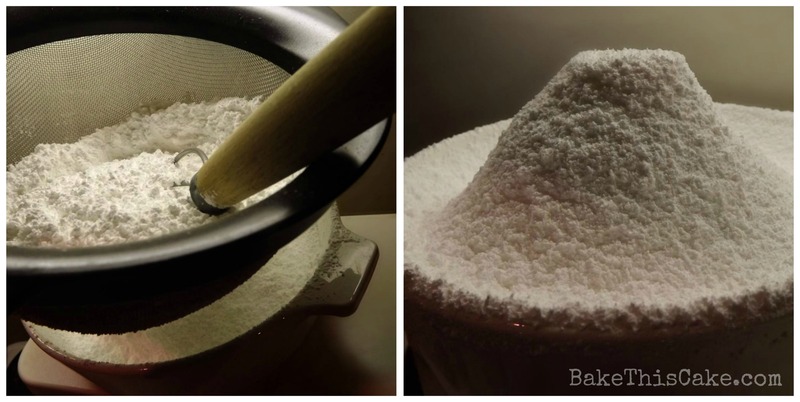 Plus the second one is easier to remember: 1 pound of flour, 1 pound of powdered sugar and a dozen eggs (plus flavoring). I’ve computed the measurements for you in measuring cups and I’ll show you step-by-step with photos how to make them. 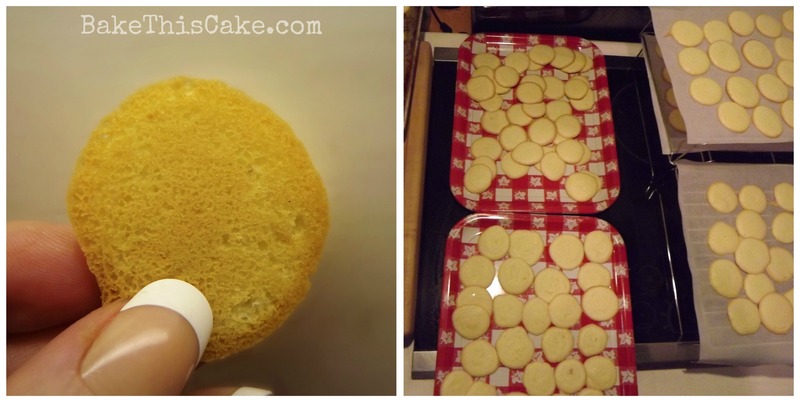 There are many ways to make a sponge cake. Mr. G says to beat the eggs and sugar as a starter but I thought I’d stick with whipping the egg whites and folding them in. Frankly, I don’t think it makes much difference, I tried both ways –so if you’re short on time just beat the eggs and sugar, add the flour and flavoring and you’re good to go. Tip: Substitute your favorite flavor with orange, vanilla, almond, etc. Tip: For this many eggs, I drop each egg white into a little cup before transferring to the egg whites bowl to ensure no bits of broken yolk damage the lovely whites. 5. 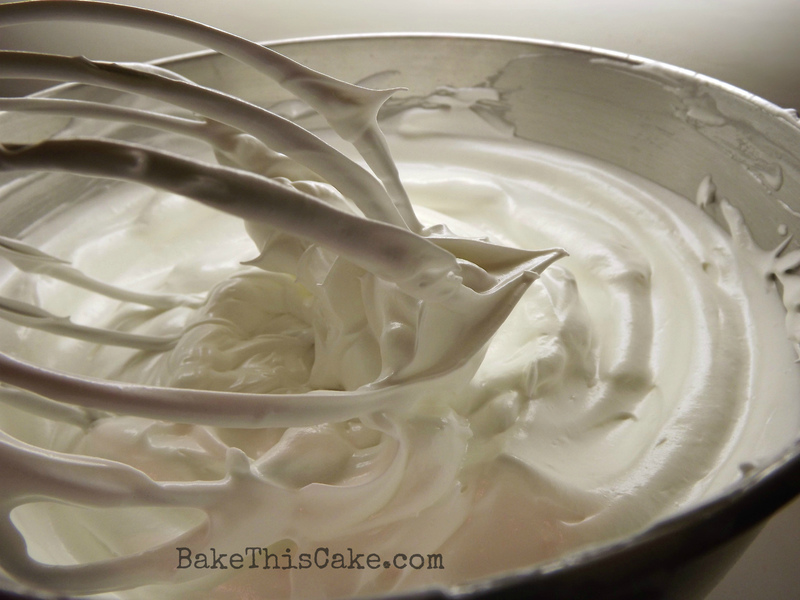 Beat the egg whites until foamy (about 1 minute on high-speed), add the fresh lemon juice to fully incorporate, beat in the sifted powdered sugar in stages on low-speed then increasing to high-speed (about 1 to 3 minutes) until it all becomes perfectly light and fluffy and glossy. 6. 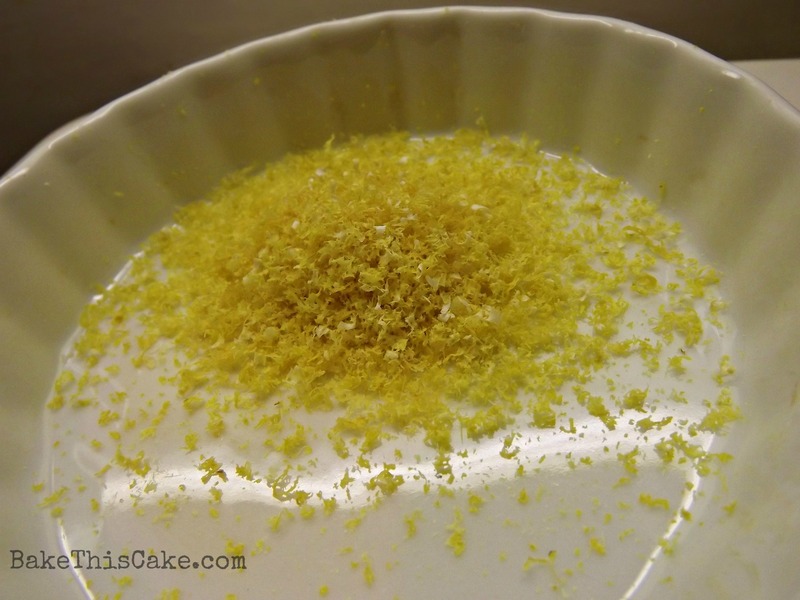 Change to a larger bowl if needed (I did) and gently fold in the flour and the lemon zest with a spatula. Tip: Take a little taste and see if there is enough lemon flavor for you. 7. 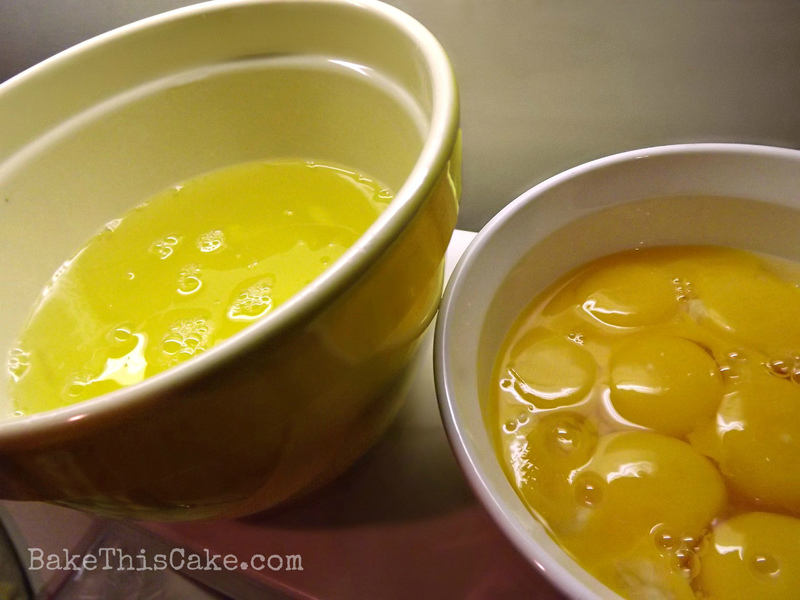 Stir the egg yolks with a fork until smooth then use a spatula to gently fold the yolks into the batter until all is well incorporated. 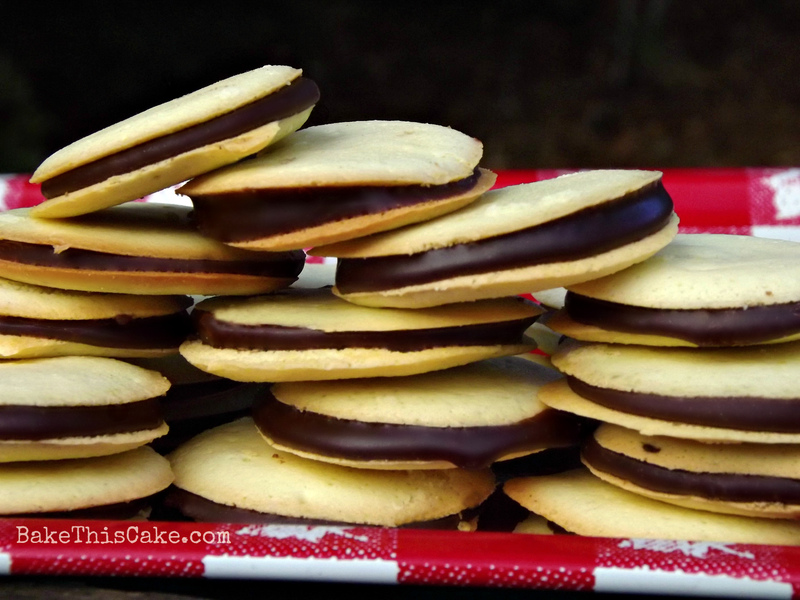 Tip: You will have to match up the cookie sizes for the fudge sandwiches so try to keep them uniform and round. 9. 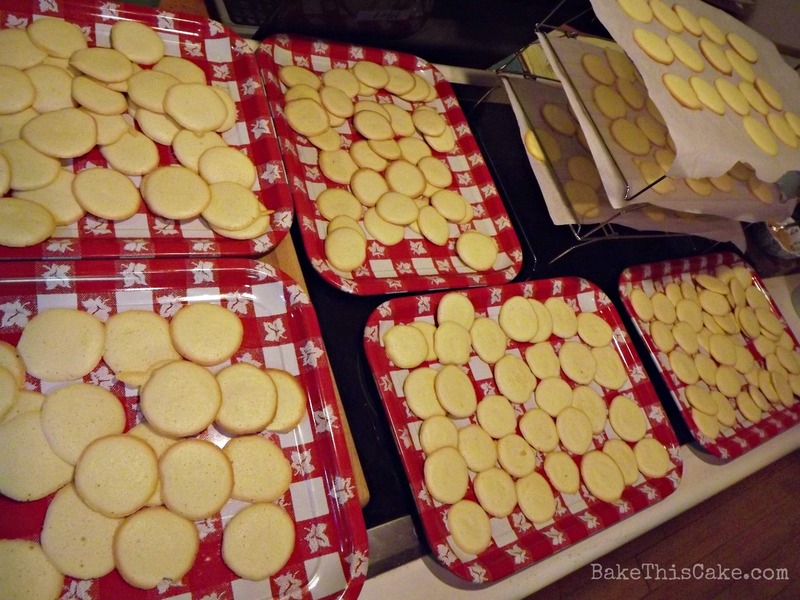 Bake at 325 degrees for 8 to 10 minutes until the edges of the cookies turn golden brown and the tops of the cookies lose most of their sheen. 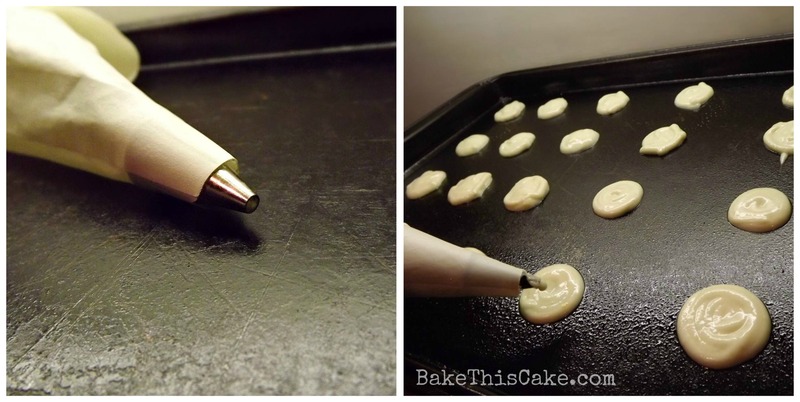 Immediately remove the cookies to a rack to cool completely. Tip: The bottom of the cookies should be just lightly golden brown. 10. Prepare the double fudge recipe (doubled and prepared in 2 separate batches, with a little left over). Tip: Keep the pot of fudge on the stove as you work to fill the cookies so that you can warm it and stir if it gets too thick. It will smooth as it is re-warmed and stirred. 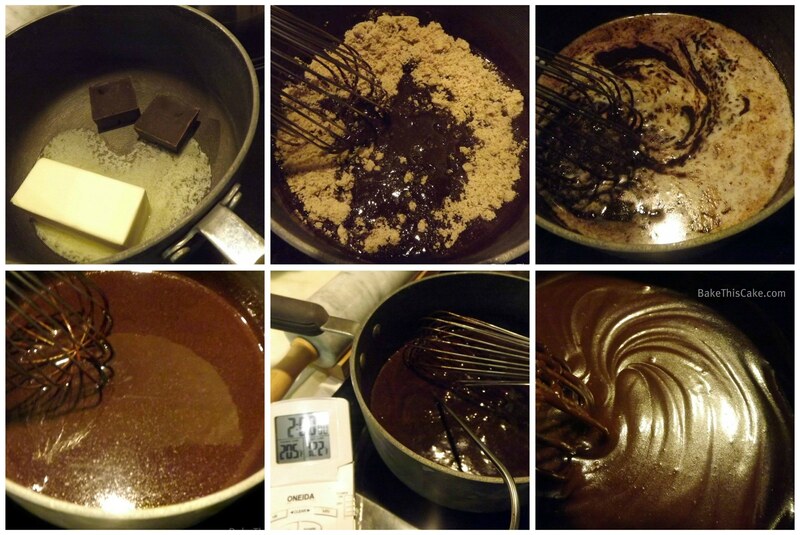 Here is a collage that summarizes the steps required for the fudge filling with the full recipe here. If you click on the link, it opens in a separate window. 11. Frost a cookie bottom using about 1/2 teaspoon of warm fudge for each cookie, depending on the sizes you’ve made. Sandwich another cookie on top and gently press down on the cookie sandwich until the fudge reaches the outer edges of the cookies. Place the sandwiched cookie on the cooling rack until the fudge hardens in a few minutes. Tip: Keep a damp rag nearby to keep your fingers fudge free and to prevent cookies smudges (course, a little fudge dribble never hurts). Now go ahead and make up a whole bunch of these lovely little darlings! 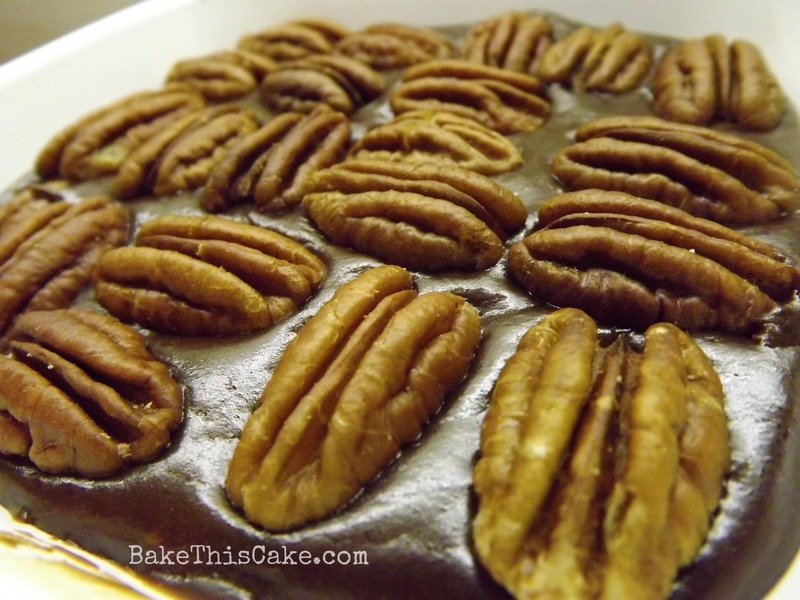 You will have a little extra fudge from a double batch so just slide the warm fudge into a little bowl and throw some pecan halves on top. Just cool it and slice it into tiny squares (it’s quite rich). 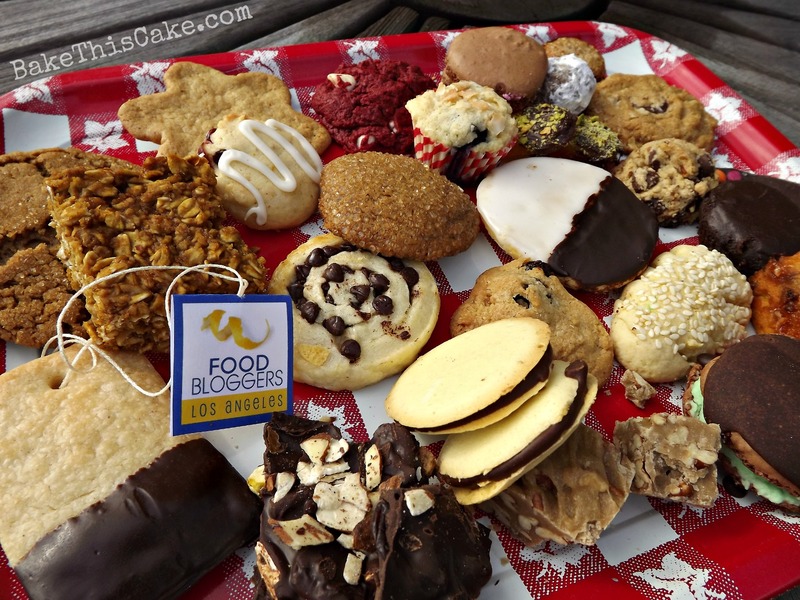 On to the Holiday Cookie Exchange Party with the amazing Food Bloggers Los Angeles. 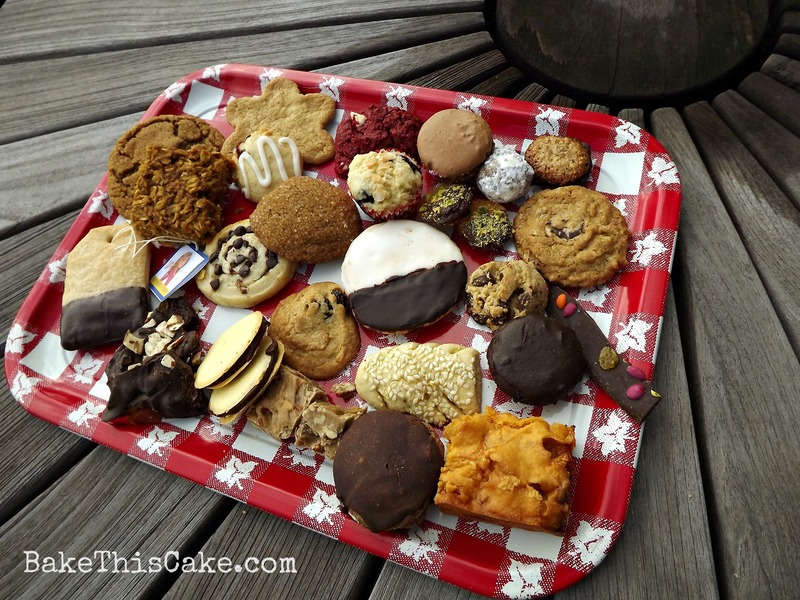 And EVERY single cookie that you see on this tray (plus MORE) are available for you to bake courtesy of FBLA by clicking >> HERE (opens in a new window). 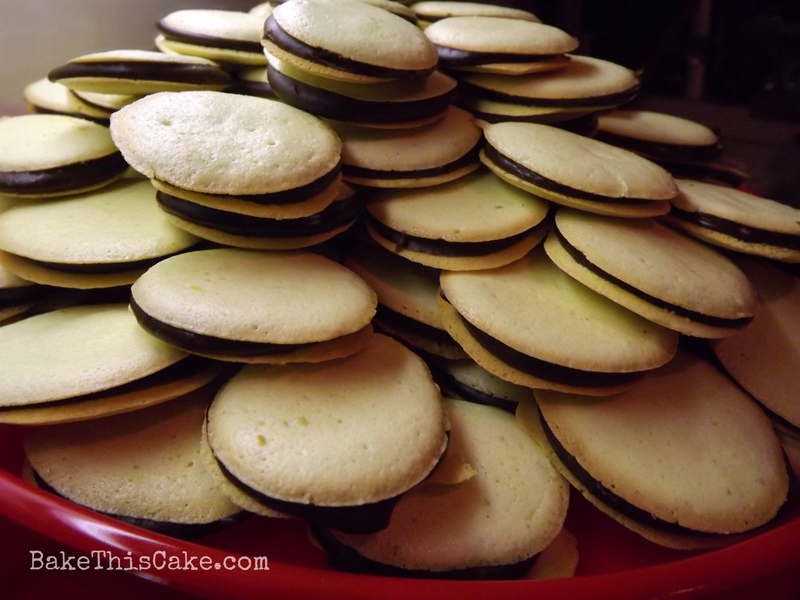 Also, see a link to the food writers’ cookie recipe posts below. Enjoy! Oh, I also learned from this cookie baking adventure: Hanging with food writers means you will learn something new, you will talk to someone interesting and you will eat something incredible. Have a great holiday season! 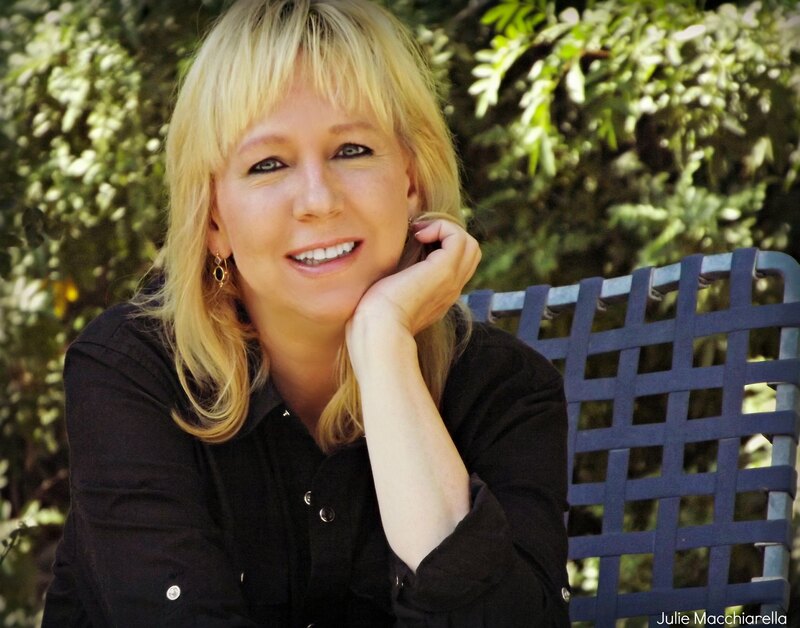 I look forward to seeing you in the evenings and weekends on Facebook, Twitter and Instagram. You might even want to check out our Holiday Pinterest Board. Chai Tea Cookies (and Baby Hedgehog cookies from the same recipe) — Cathy Arkle of She Paused 4 Thought. Butter Pecan Fudge — Dorothy Reinhold from Shockingly Delicious. Antioxidant Chocolate Bark — Erika Kerekes of In Erika’s Kitchen. Sweet Potato Marshmallow Bars with White Chocolate Chips – Jennifer Richmond of Kitchy Cooking. Vintage Sponge Drops with Double Fudge Filling — Leslie Macchiarella of Bake This Cake. 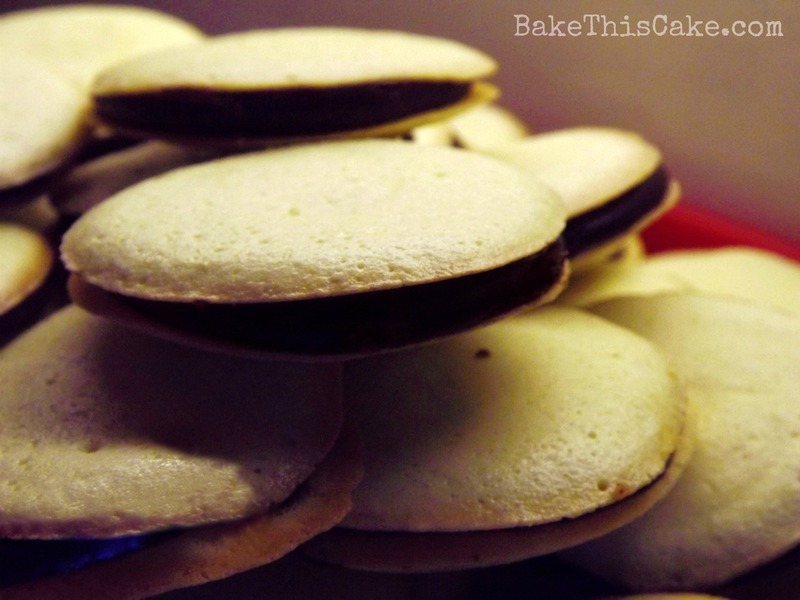 Sicilian Christmas cookies — Judy Lyness of Two Broads Abroad. Cranberry Orange Walnut Sugar Cookies — Patricia Rose of Fresh Food in a Flash. Brown Butter Praline Chocolate Chip Cookies — Valentina Wein of Cooking On The Weekends. 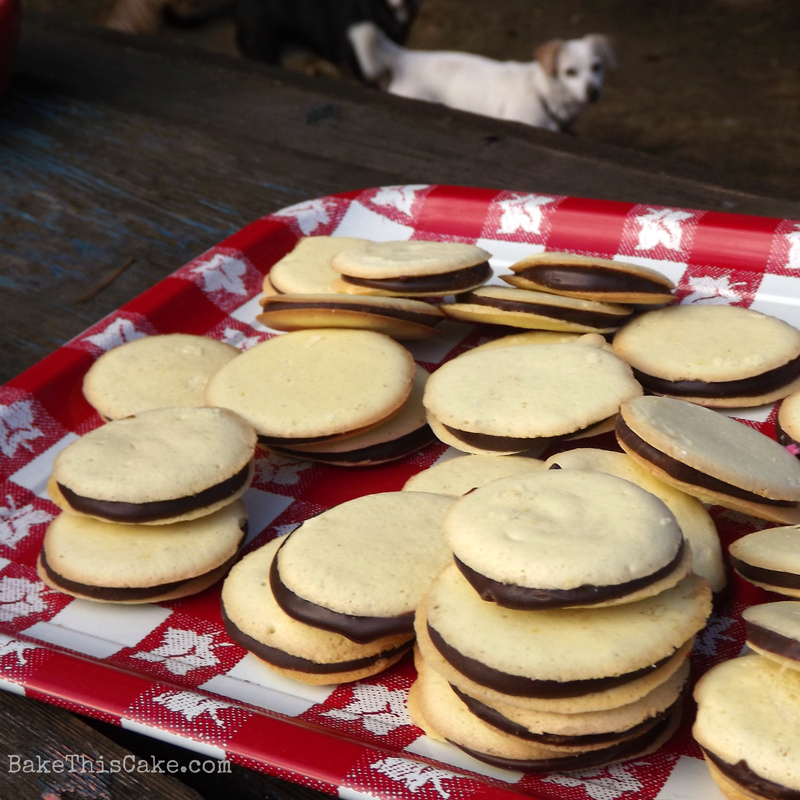 Mini Chocolate Nut Sandwich Cookies — Kelly Page of Tasting Page. Rosemary Raisin Cocktail Shortbread — Sharon Graves of Cheesy Pennies. 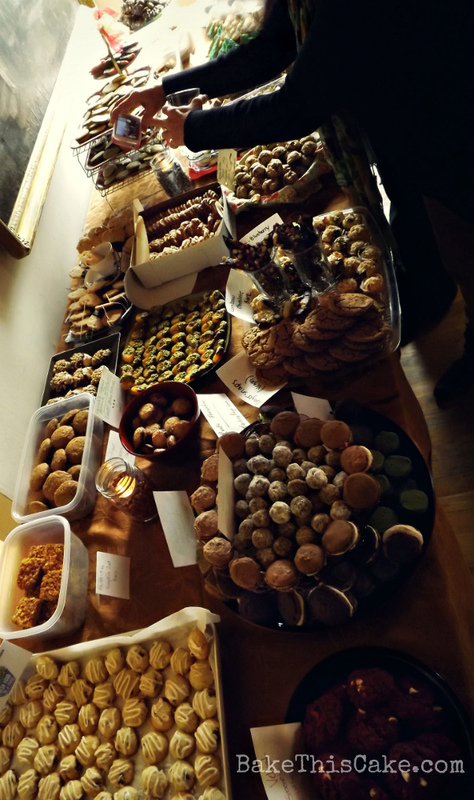 Saketini Christmas Balls, Chocolate Macarons with Japanese Wine Cream Centers, and Matcha Green Tea Cookies with Chocolate Centers & Espresso Cookies with Caramel Fillings — Kim Watkinson of Ninja Baking. Blueberry Coconut Mini Cupcakes, Rainbow Chocolate Bark, and Vegan Gingersnaps — Judy Weintraub of Bumbleberry Breeze. Chocolate-Dipped Apricots with Pistachios — Adair Seldon of Lentil Breakdown. Spumoni Shortbread — Nancy Rose Eisman of Adventures with Nancy Rose. Crispy Oatmeal Chocolate Chip Cookies and Cardamom Gingersnap Cookies— Alison Ashton of Nourish Network. Gluten-Free Pumpkin Oat Bars — Alanna Waldron of Eats Real Food. Red Velvet Gooey Butter Cookies — Tanaya Ghosh of Tanaya’s Table. 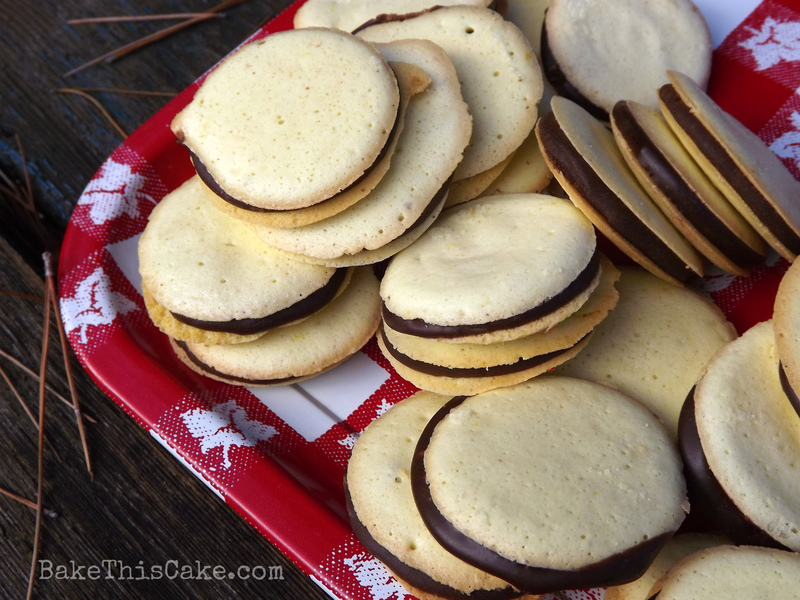 Black and White Cookies — Tina Kil. Chiang Mai Chicken in Endive Spears — Cathy Arkle of She Paused 4 Thought. Seasonal salad — Nancy Rose Eisman of Adventures with Nancy Rose. Barrel-Aged Sazerac — Jennifer Richmond of Kitchy Cooking. Thanks for the lighting tips. Your cookies were light and delicious, Leslie..No wonder the recipes of yesteryear have survived so long! Very intrigued to try your double fudge with the brown sugar, too. Thank you Ninja Baker! So great to meet you! Your cookies were fascinating and delightful! So glad you like the old-fashioned recipes too. Loved the cookies, loved your trays, love the photo bombing pooch! Thank you, Nancy! And, may I say, your spumoni shortbread was as pretty as it was scrumptious! Happy holidays! Thank you, Patricia! I’m glad you liked the cookies and the vintage trays. I tried inserting the trays into my tiered cake-drying racks and it worked like a charm (sheer stroke of luck). 🙂 Happy holidays! I loved these…so delicate and pretty. My favorite photo is with the dog looking on from the backgrouind. That just made me laugh! Thank you, Dorothy, and for all your hard work on the FBLA post. You can be assured that, around here, there will always be a dog or a cat in almost any photo that is not close-cropped. haha! Happy holidays! Those are the perfect bite size cookies that you can easily eat more than 10. Thanks for sharing your time and talent with these delightful cookies at the FBLA cookie exchange.